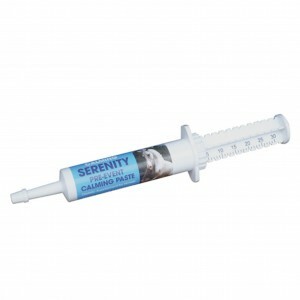 Serenity Calm Down Paste – if you horse finds competitions a bit too exciting, our Serenity Calm Down Paste could really help. The fast acting paste should be given two hours before the ‘exciting’ activity to help promote calm. Serenity Chill Out Calmer Capsules – if you get a bit tense before you compete, have a look at our Serenity Chill Out Calmer Capsules for riders. These help to induce calmness and tranquility without lethargy and can be used on their own or with Serenity Riders Calming Fluid. Legs R Cool – for after strenuous activity, Legs R Cool helps to cool and soothe hot, tired legs without the need for you to stand there with a hosepipe! Just apply to clean legs and use with or without bandages. Stable Fresh Disinfectant Powder – the perfect way to keep your trailer hygienic with minimal effort and no drying time. It’s easy to use as you just sprinkle the anti viral, anti bacterial and anti fungal product onto a clean floor where it will also remove ammonia smells. Detangler Ultra Silky – make manes and tails easy to brush with Detangler Ultra Silky. Not only does it detangle but it also leaves a lasting sheen and won’t attract dust as it isn’t greasy. 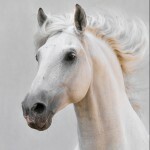 Dry Clean – no time to wash your horse? Too cold to get the hosepipe out? No problem – just use Dry Clean, the waterless body wash. Easy to use, effective, time saving and water free! Groomer Ultra Shine – Groomer Ultra Shine does more than leave a stunning shine on the horse’s coat, it also acts as a grooming aid by repelling dust and dirt and can be used on the mane and tail. Lavender Fresh – a very useful product to add to your horse’s wash off water. Not only does it smell amazing, it’s naturally antibacterial, soothes minor cuts and bruises, and the coconut included works to remove sweat and dirt. Plaiting Liquid – our Plaiting Liquid not only makes plaiting easier, but it also keeps plaits in place, so they stay put all day long. 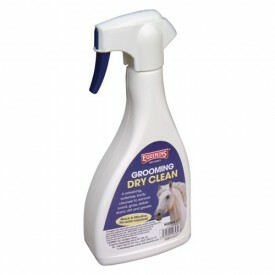 It can be used on damp and dry manes and doesn’t require washing out at the end of the day either! Quarter Marker – a spray on liquid that’s been created to set and hold quarter marks all day long, so you don’t need to redo them during the competition! Stain Remover – whether it’s stable stains or grass stains, Stain Remover will help you remove them with ease. The spray on lotion gets right into the stain to leave your horse clean and as he should be! Leather Spray Soap – if you need to give your tack a clean, Leather Spray Soap cleans and treats all leather…and the spray bottle makes application really easy.